And with strange aeons, even Death may die. Long time ago in Poland when my parents were buying me from time to time Toblerone chocolate in Pewex using dollar vouchers (as real dollars were illegal in Poland during communism time), I did not know that the logo and the box of this delicious Swiss chocolate are inspired by the shape of a lonely mountain in the Valais Alps (Pennine). What counted then, were the unique taste and the unavailability of chocolate pleasure, which unwittingly alluded also to one of the latest conquered alpine peaks. For Polish citizens to buy this chocolate (and other products commonly available in the West) was at that times similar effort as the climb to Deer Mountain. Matterhorn (in German) or Monte Cervino (in Italian), because it is about that mountain, rises to a height of 4478 meters above sea level on the border of Italy and Switzerland, what gives twelfth position among the alpine summits. In this area there is the largest concentration of peaks with the height above 4000 meters, that in the Alps are 82, however the Matterhorn in a contrast to most of them, stands alone, fully exposing its perfect pyramid shape. It is the sixth highest independent alpine peak, which is not part of a larger mountain range. E.g. Dufurspitze (4634 m) – the highest peak in Switzerland, lies in the massif of Monte Rosa, where are located close to each other 10 four-thousand peaks, which in this crowd do not look quite as impressive as Monte Cervino. The summit was conquered by the British mountaineers and their Swiss guides in 1855. The member of the winning group of climbers was Charles Hudson, who 10 years later will be one of the tragic heroes of the first ascent of the Matterhorn. Majestic and causing respect the shapes of the Matterhorn and fragile rock forming the peak make climbing on it extremely difficult. Probably because of that it was conquered as the last of the Alpine giants. Years 1854-1865 are the time of the The Golden Age of Mountaineering, when exploration of the Alps has become enormously accelerated and these mountains have become an arena of struggle between climbing elite. Mountains have always been fascinated by the human spirit, so much so that the Bible considers them as the privileged place of encounter with God. In 1865, they made 65 first ascents in the Alps, 7 in the Mont Blanc massif. Winning the Matterhorn July 14 of that year and the tragic events during the descent from the summit became a symbolic end of the Golden Age. The struggle for the conquest of the Matterhorn was fought mainly, sometimes together, between Londoner Edward Whymper and Italian Jean-Antoine Carrel. 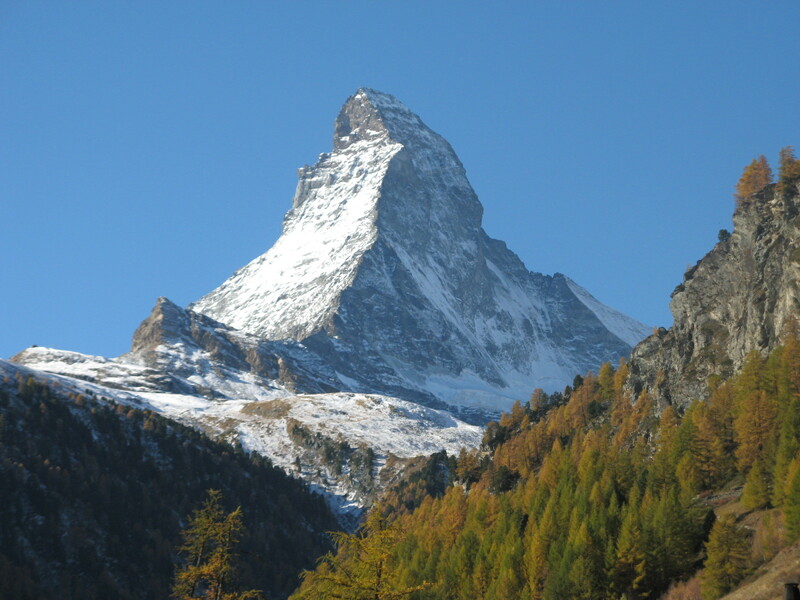 In 1865 Whymper came to Zermatt to attack the Matterhorn for the eighth time. Also in that year Carrel should accompanied him. Meanwhile, the newly formed Italian Mountaineering Association, has set itself the goal to conquer the Matterhorn by the Italians. In 1865, Quintino Sella, a professor at the University of Turin, the Minister of Finance and professor Felice Giordano, a geologist studying the structure of the Alps, organized an Italian expedition to Monte Cervino to overtake Whymper almost at any cost. The management of the expedition had been proposed to Carrel, and he accepted because he wanted to win Matterhorn to strengthen his position of the best mountains expert in the region, and that with whom he gets it was for him indifferent. So, he chose his rich and well-connected fellow countrymen and not ambitious but not very wealthy Englishman. 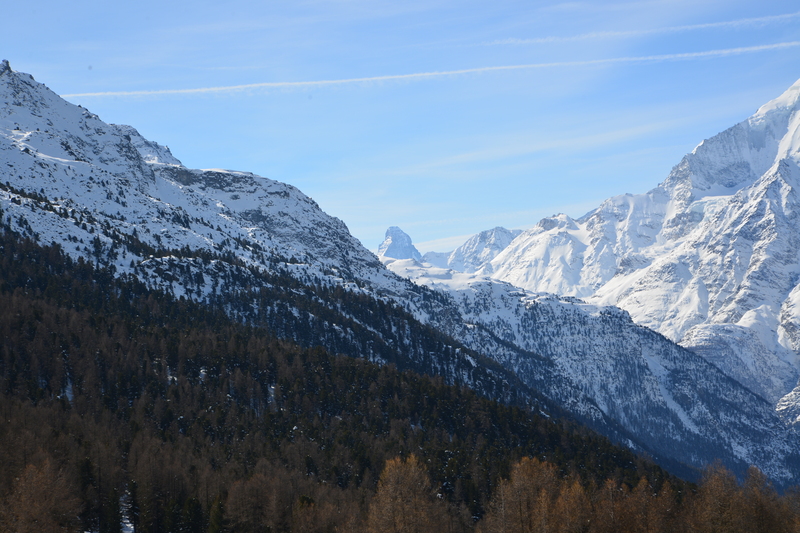 In addition, the aim of Italians was to get the summit from the south (from Valtournenche valley) and not from the side of Zermatt, as planned by Whymper. When Whymper arrived for the appointment with the Italian, he lied to him, apologizing that they have to postpone their joint expedition for a few days. Whymper dismissed his guides and was calmly waiting for Carrel. The next day, however, he learned that Italian already went to his team and launches an attack on the Matterhorn. Outraged by the fraud he did not give up. He went down quickly to Zermatt, where he managed to form a team with which he hit the road by the razor-sharp Hörnli ridge towards the top. Peter Taugwalder son (22 years) – also guide. Fierce fighting broke out, which was fought not only about who will win the top, but from which side. Behind Giordano’s nationalistic grounds were hidden just the money. The side from which the top will be reached will attract more tourists, who will be hosted and guided by the local highlanders. 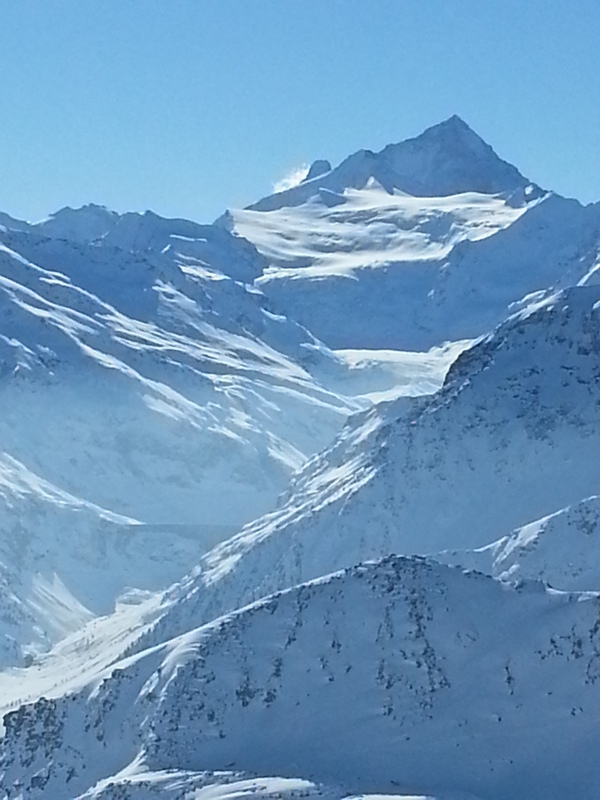 On the slopes of the Matterhorn it lasted the fight for the future of the tourism industry in the sunny Valtournenche and in Zermatt, hidden in the deep valley. We who go mountain-scrambling have constantly set before us the superiority of fixed purpose or perseverance to brute force. We know that each height, each step, must be gained by patient, laborious toil, and that wishing cannot take the place of working. Whymper won as involuntary ally of the Swiss. 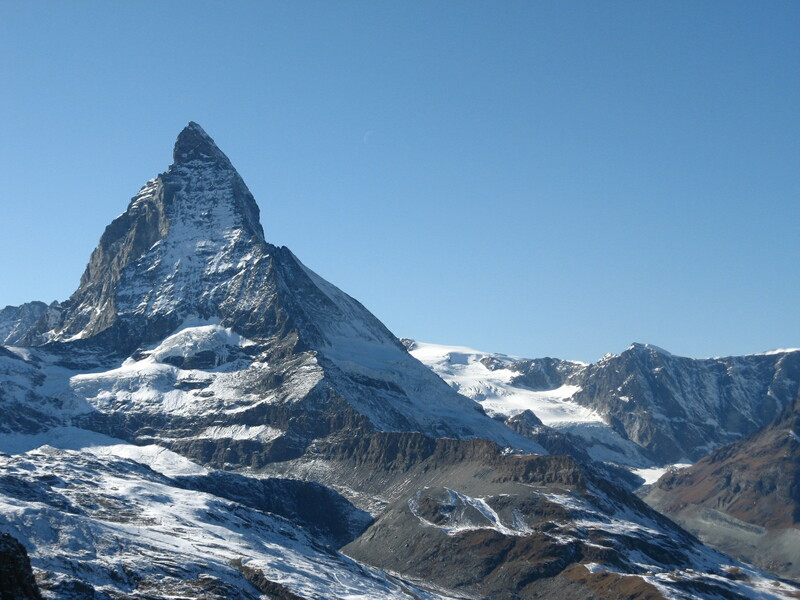 On July 14, 1865 he and his team first reached the summit and made Zermatt, one of the most visited places in the world. One crowded hour of glorious life. It passed away too quickly, and we began to prepare for the descent. The victory was, however, dearly paid because during descent four people died falling into the abyss. Only Whymper and Taugwalders returned from the top. The accident was caused by the least experienced climber, Douglas Hadow, who fell during the descent and hit on the leading Michel Croze, and when both of them began to slide into the abyss, pulled behind them connected by rope Charles Hudson and Francis Douglas. The other three climbers survived, as weaker rope linking Douglas to Peter Taugwalder father fractured. 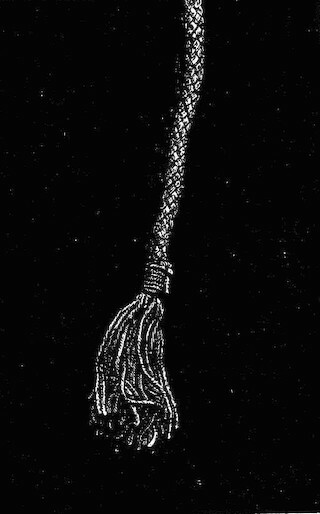 As often happens in such cases, there were suspicions that the rope was cut. The formal investigation has not found any evidence to support this thesis. The broken line is now exhibited in the museum in Zermatt. Three days later, on July 17, 1865 after traveling the Italian ridge, Antoine Carrel’s team he stood on the top. 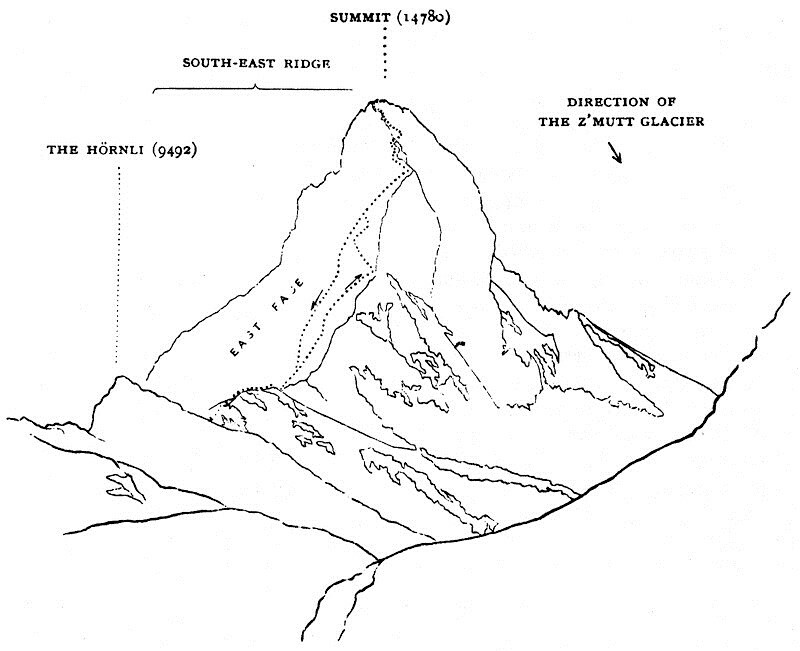 Seven failed attempts to enter the top of Deer Mountain, memorable climbing of July 1865, and other alpine expeditions, Whymper described with details in the book “Scrambles Amongst the Alps In the years 1860-1869 “, to which he also made illustrations. Edward Whymper was climbing yet in South America and Canada making several first ascents. During the expedition to Ecuador he gathered substantial material to the study of altitude sickness and the influence of reduced pressure on the human body. He explored Greenland, as one of the first, using the sleds, which contributed to a significant acceleration in the researches of the Arctic. Climb if you will, but remember that courage and strength are naught without prudence, and that a momentary negligence may destroy the happiness of a lifetime. Do nothing in haste, look well to each step, and from the beginning think what may be the end. He died in 1911 in Chamonix, shortly after returning from another Alpine expedition and was buried in this city on the English cemetery. 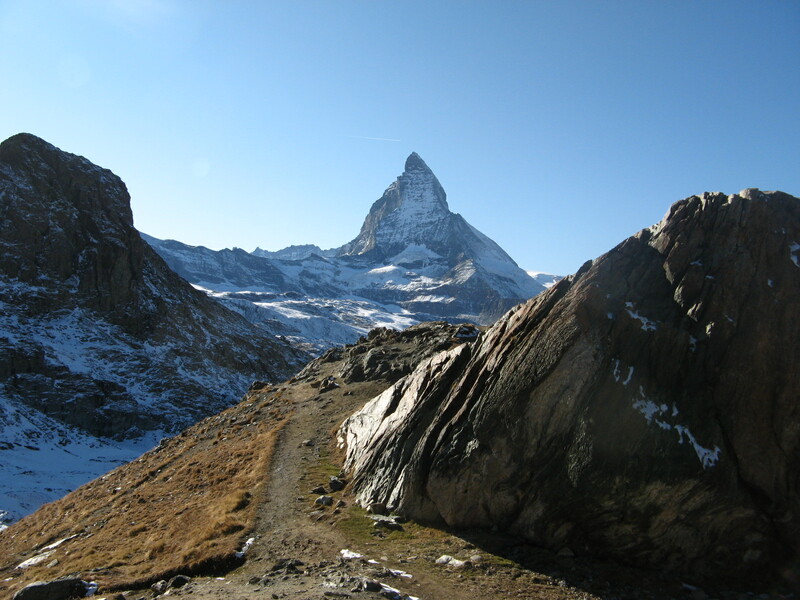 The first women’s entrance took place in July 1871, when Whymper’s countrywoman, Lucy Walker stood on the top of Matterhorn – climbing in a long flannel skirt, which was appropriate for a Victorian lady. First Polish ascent was made in 1894 by Marian Smoluchowski – pioneer of statical physics, climber and mountaineer. Albert Einstein used results of his researches in formulating a theory which explains the chaotic movements of the particles. One of the equations of diffusion theory is known as the Smoluchowski equation. 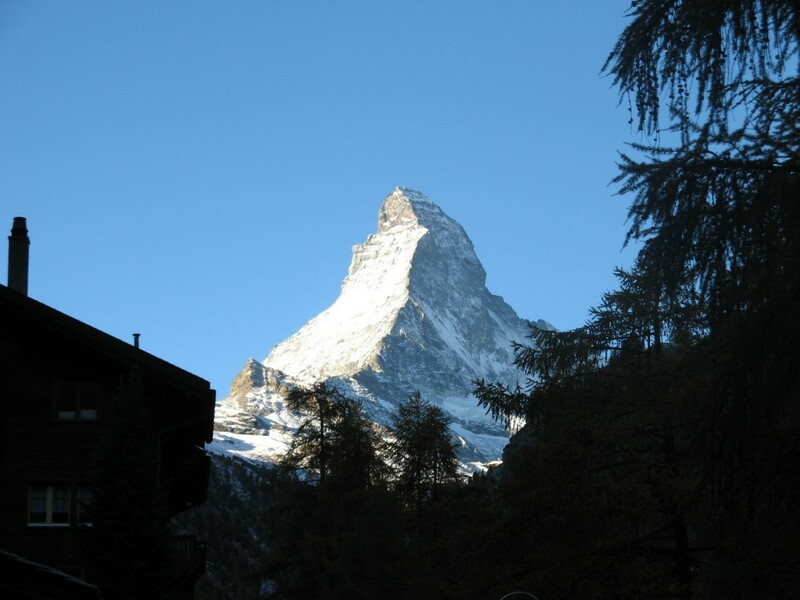 In 2015, Zermatt is celebrating the 150th anniversary of the first ascent of the Matterhorn. Numerous events are held in the town throughout the year. I encourage you to glance at the website of the resort and choose something for yourself from the rich offer. Among the organizers and sponsors could not miss the Mammut company, which is “absolutely alpine” and which on the occasion of this historic alpine events prepared, inter alia, limited edition of products. Watchword of the celebrations is #Matterhorncalling. Also this year, Mammut together with Ochsner company organizes 24-hour mountain hike. This time, however, you guessed, it will be connected with the jubilee of the Matterhorn. I chose exactly this way to celebrate the first ascent of the Matterhorn, and I became the happy member of the Mammut 24h Hike team, which in August will move on to the mountain trails around Zermatt and Matterhorn. Should also be noted that both Chamonix and Valtournenche did not want to perform worse and also decided to celebrate the “good old days”, when The Golden Age of Mountaineering reached its climax. Into the mountains! into the mountains, nice brother! Over there, the freedom is waiting for you. And the man believes in the freedom! When the mountains laugh in the spring.